Based on a recent report, Crypto.com which is a leading payment and virtual currency platform have made it known that it has added the Enjin’s ENJ Coin to its Wallet & Card App. This list currently consists of Ether (ETH), Litecoin (LTC), Bitcoin (BTC), XRP, Binance Coin (BNB), and it’s very own CRO and MCO tokens. 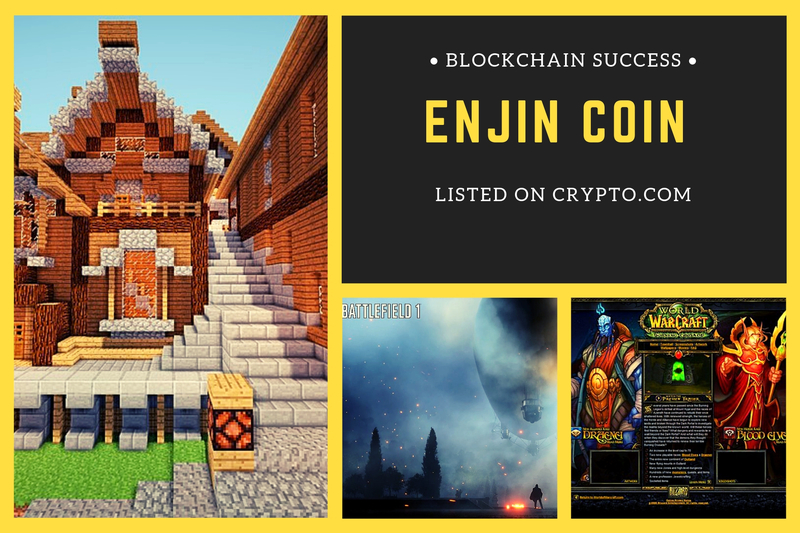 Enjin, the largest online gaming platform, has more than 250,000 gaming communities and 20 million registered gamers. The Enjin Coin is utilized in the establishment and maintenance of virtual goods in the community. Crypto.com will allow users to buy the ENJ Coin using fiat via EUR and USD bank transfers, as well as, credit and debit cards on the app worldwide prior to its utilization within Enjin’s gaming ecosystem. Users of the Crypto.com Wallet & Card App can now sell, send, store, and track their digital currencies. They can also spend their cryptocurrencies in the real world at more than 40m traders the users MCO Visa Card.